It’s surprising but true; half of the calls you get will eventually become spam. According to call protection company, First Orion, new studies show that nearly half of the calls you receive are spam, junk, or unwanted. By mid-2019, it’s estimated that 46% of the calls you’ll receive will be from unwanted solicitors, spam accounts, or robocalls. 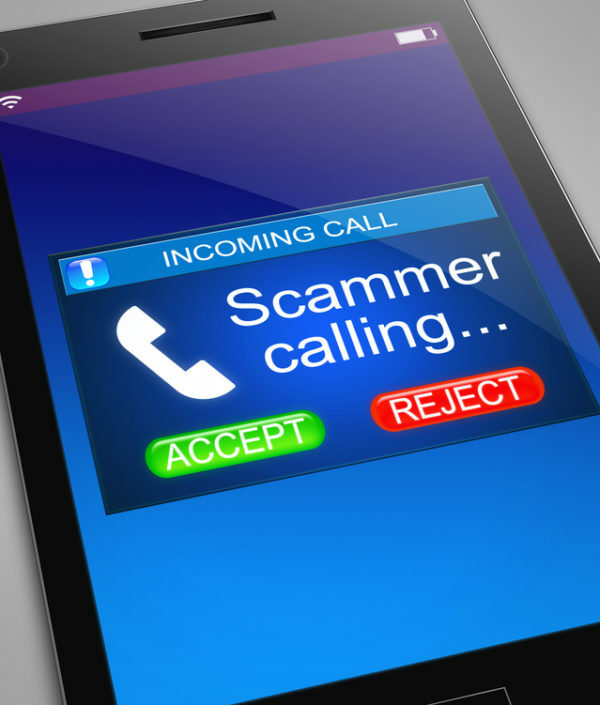 This study researched over 50 billion calls that took place over the last year-and-a-half, revealing a startling increase in the number of scam calls. And people are noticing. In locations like Virginia, complaints regarding scam calls and robocalls have doubled over the course of the last four years alone. Some people are getting up to 10 calls a day from scams and solicitors. Even the members of the government aren’t safe from the tide of spam calls. Virginia Attorney General, Mark Herring, not only gets complaints, he has a number of his own. “I get the same call, I think it’s from New Brunswick, New Jersey, every single day. I’m the Attorney General [and] even I get them. I know how annoying it is,” he says. But it isn’t just our cell phones that are being bombarded with an onslaught of calls. An estimated nine out of every 1,000 computers are actually infected with potentially damaging spam. So, what are some ways to protect yourself against the surge of spam coming your way? Even if you unsubscribe from pesky emails and tell companies you want to be on their “no call” list, many of the emails still find a way through. That’s where giving someone a fake email comes in handy. While spam from your favorite stores may not be a risky click, street solicitors, robocalls, and other scammers won’t quit unless you write something down. Make up a fake email, or better yet, create a fake email that has virtually nothing to do with you to prevent the scammer from ever getting its hands on someone. If a scam email ever comes into your inbox, delete it and neverclick on the links. Avoid opening emails altogether if it’s from an address you don’t know. If you’re able to recognize it as a scam, report the email to your email server as a phishing attempt to prevent getting them again. For phone callers, many new mobile devices have a “block number” feature. While this won’t stop new scammers from getting your number and calling you at odd hours of the night, this is a great way to stave away the repeat offenders. Spam mail and robocalls are becoming more common, but finding new ways to protect yourself against their onslaught is essential. The only spam you need in your life is the delicious canned meat.